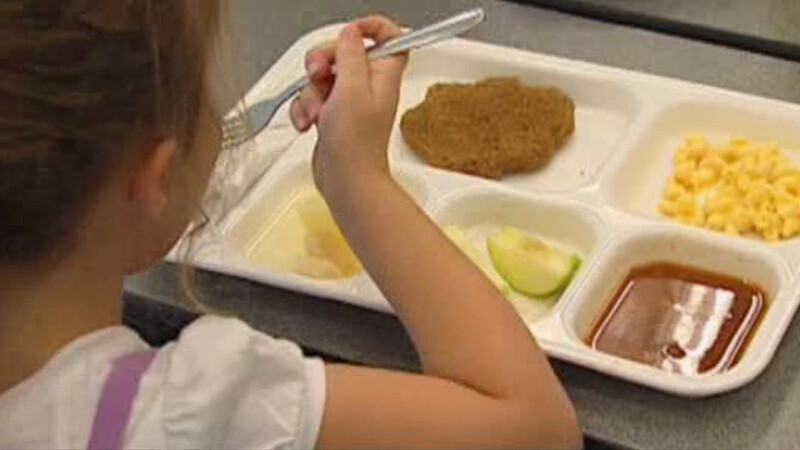 NEW YORK (WABC) -- Chicken tenders are now off the menu at New York City schools indefinitely after a potential health hazard was discovered earlier this month. Department of Education officials say they removed the meat from school menus after a nationwide recall by manufacturer OK Foods, which is based in Oklahoma City. "DOE immediately pulled all of those shipments of food out of the system, they stopped that supplier from providing anything to us," said Mayor Bill de Blasio. Authorities say the recall was initiated after five children reportedly discovered metal in the chicken tenders they were eating at their schools. School officials have also pulled sliced pizza from school menus temporarily after a possible contamination issue. The DOE released a statement on Wednesday that said: "Due to quality control concerns, we suspended the distribution of sliced pizza and chicken tenders. The safety of students always comes first and families should rest assured that school food is safe and nutritious. These items will not be served again until all concerns have been addressed. Schools are offering alternative menu options and we're exploring new sources for these products."